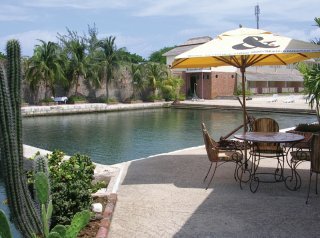 The hotel was built in a colonial style, has been recently renovated and greets guests with much warmth and hospitality. The hotel comprises a total of 60 rooms of high-quality fittings. Facilities here include a lobby, a 24-hour reception, a safe, a currency exchange facility, a games room, bars and two restaurants. Internet access, laundry service (on payment of an additional fee) and a car park may be taken advantage of. The spacious, comfortable rooms offer a feeling of relaxation and luxury. Each room comes with an en suite bathroom, a hairdryer, a direct dial telephone, satellite/ cable TV, an Internet connection and a king-sized bed. Guests may also enjoy the tea and coffee making facilities, the individually regulated air conditioning as well as a balcony with sea views within the rooms. There is also a swimming pool available outside. Also featuring at the hotel are a poolside snack bar, a Jacuzzi, sun loungers and parasols, which have been laid out ready for use. Sporting options include deep-sea fishing and diving (for an additional fee). 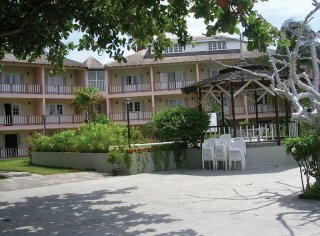 The hotel lies on the coast of Jamaica about 10 minutes from Port Royal and affords a beautiful view over Kingston Bay and the Blue Mountains. The comfortable accommodation is suited for business travellers and those seeking a relaxing holiday alike. The hotel is ideally located for those wishing to explore the area and visit the centre of Kingston only 30 minutes away by car. Ocho Rios is a 90-minute journey away. Guests may select their breakfast and lunch from ample buffets; lunch and the evening meal may alternatively be taken à la carte. 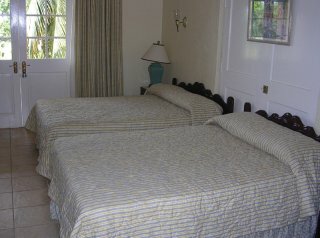 Guests are able to book bed and breakfast, half-board or full board stays. The bar and restaurant serve up Jamaican and international cuisine.